When a machine needs to undergo a general inspection for the first time in nearly four decades, this is testament to its extreme stability. 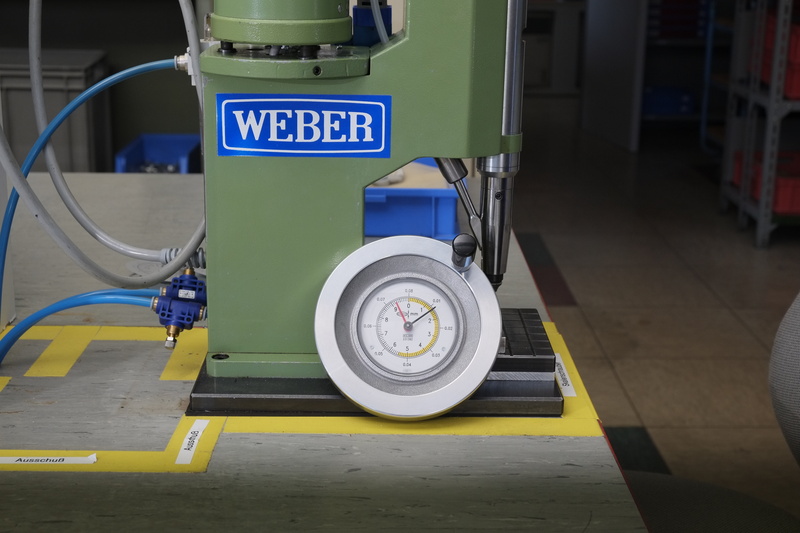 At WEBER Schraubautomaten GmbH, customers can enjoy this level of assurance as standard. “It does what it’s supposed to do. It runs – and at the end of the day, that’s what a machine needs to do,” said Ralf Mäder, production foreman, objectively analyzing his relationship with the automatic screwdriving system that WEBER installed in his company more than 36 years ago. Almost four decades have passed since then and “…it runs, and runs, and just keeps on running…”. Now, SIKO GmbH is sending the automatic screwdriving system to WEBER in Wolfratshausen for general inspection for the very first time. After such a long time, even the best machine has earned a short break and a subsequent makeover. What sounds almost unbelievable to outsiders is actually par for the course for the SIKO employees in Buchenbach, Baden. Why shouldn’t a solidly constructed machine be able to remain in operation for so long!? Digitization or not. As a company, SIKO GmbH is solid as a rock. Founded in 1963 by Günther Wandres, the company began developing and manufacturing a wide range of handwheels equipped with analog position indicators. Today, SIKO’s industrial measurement and drive technology is used all over the world. The company’s core competence lies in the development, production and sale of standard devices and customer-specific OEM products. Best quality and close partnership with customers – the name SIKO has been synonymous with these qualities since 1963. The number of devices that SIKO manufactured rose rapidly – including products for the handwheels, which started it all. These high-precision components are equipped with a scale, behind which is a transmission mechanism. Scale and mechanism are connected with two screws. This work process was initially carried out by hand. In the early 1980s, SIKO increasingly focused on the automation of these processes. 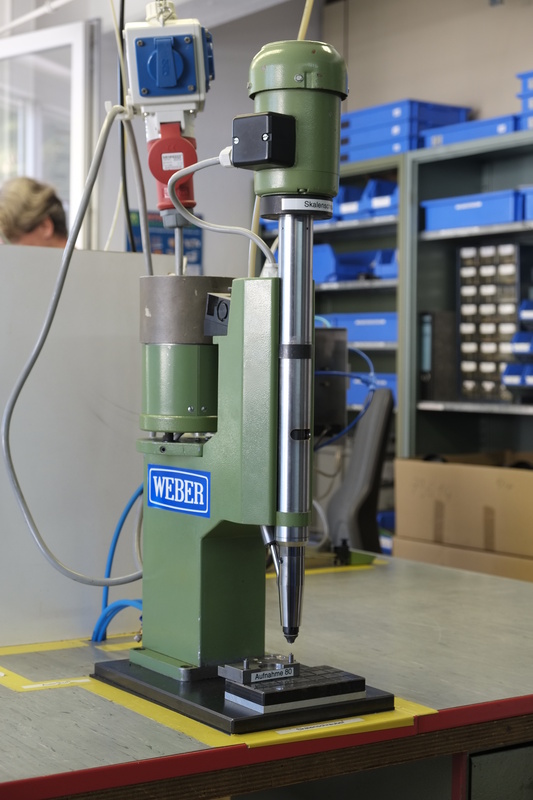 It was during this time that WEBER Schraubautomaten GmbH from Wolfratshausen in Upper Bavaria became involved, delivering the first automatic screwdriver with integrated feed system. Since then, tens of thousands of units – each with two screw connections – have been produced every year. 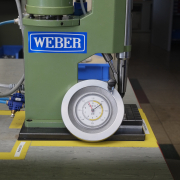 Over time, the machines from WEBER carried out almost three million screwdriving processes. And as is now evident – with no breakdowns or malfunctions! Visually, the machine looks like it belongs to a different era. Its design as a bench stand machine reflects the spirit of the time, which favored space-saving solutions for manual workstations. 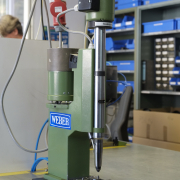 But even if the “old” WEBER screwdriving system is not adorned with touchscreens, LED strips or other evidence of modern mechanical engineering, its performance, robustness and precision remain unchanged. 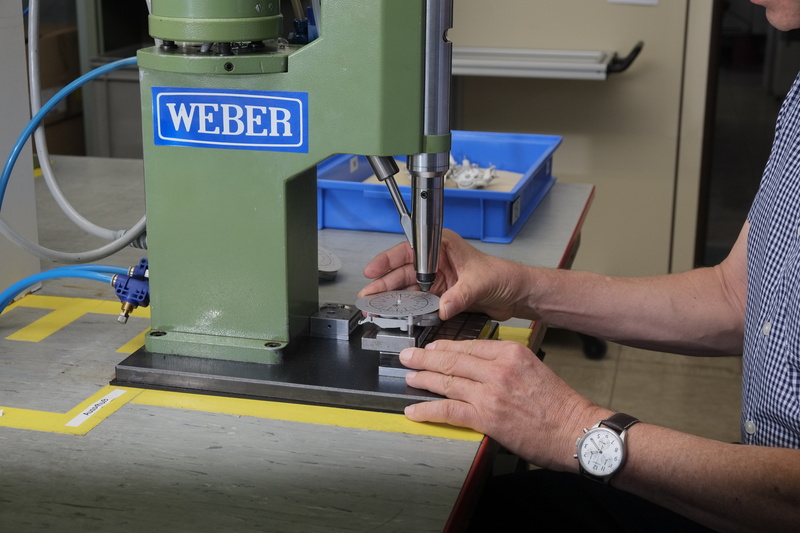 At both WEBER and SIKO, precision is always at the forefront. For example the tablet presses, which SIKO equips with handwheels and dials. Tolerances of maximum 1/1000th are permitted for these machines. In order to meet these specifications, the screw connections of the scale and transmission mechanism, and subsequently the entire handwheel, must first fulfill the highest quality requirements. This was the case in the analog era of mechanical engineering – and it does not change under the conditions of industry four point zero. Now, you might think – OK, this WEBER customer was lucky that his machine lasted so long. 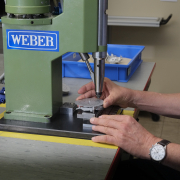 However, it’s not down to luck – rather, it’s the assurance of having an experienced supplier such as WEBER. Because such long operating times and high levels of stability, as in the case of SIKO, are not isolated cases. Notably in companies dealing with precision engineering, e.g. screw connections for spectacle frames, extremely long running times are achieved. The name WEBER is synonymous with longevity – even under the conditions that prevail today. With automation, machine running times have also increased significantly – from previous one-shift or two-shift operation to an availability of 24 hours a day, 7 days a week. So once the automatic screwdriving system comes back to Buchenbach from the inspection and resumes operation, one thing seems certain: The next machine inspection probably won’t be due until Ralf Mäder and his colleagues have already retired.